Have you tried a smoothie with spinach for breakfast or steamed broccoli for lunch? 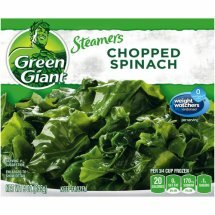 Green Giant makes it easy to make veggies the star of all your meals. Spinach, Water, Salt, Baking Soda.